Hirukawa is located in the western part of Nakatsugawa city, surrounded by rich abundant nature. Hirukawa is surrounded by the prefectural nature park “Enakyo”(a valley in the middle of Kisogawa) to the south, and to the west Mount Kasagi and other mountains to the north and east. The legend of the Emperor Go-Daigo and the buddhist legend of the anti-Buddhism revolution were passed down here. The snow-like flowers of the Chinese fringetree cover the area, and the Nagatoro Chinese fringetree is preserved as a national natural treasure. The location is also a granite producing area and rock carvings and relics can be found all over. 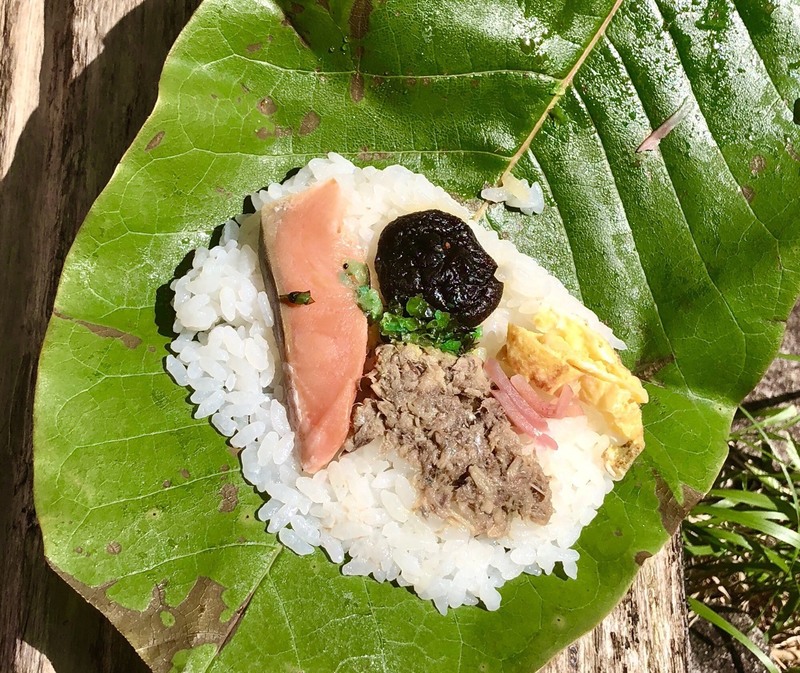 On the gastronomy point, there will be many regional dishes like gohei mochi, leaf-wrapped sushi, and locally brewed sake. 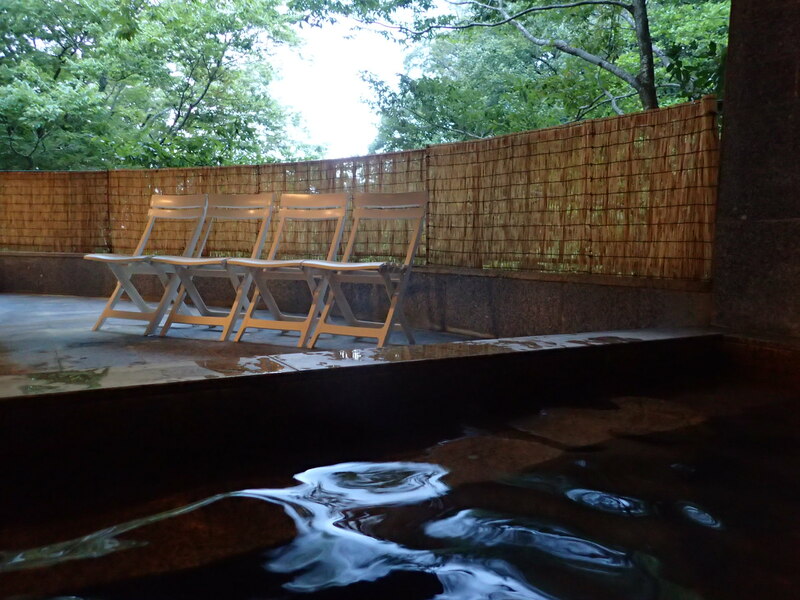 You’ll also receive a voucher for an onsen/hot spring to be used at designated facilities in Nakatsugawa city. ・This walking offers meals and beverages including alcohol，so please keep this in mind when applying for participation. ・Please use public transportation if you drink alcohol. ・There are slopes and multiple steps in this course, so please keep this in mind when applying. ・Men and women of any nationalities and ages. ・Should follow the rules and manner of the event and traffic rules. ・Young children are expected to be accompanied by a guardian，and people who have difficulty walking should bring someone to assist them. ＊Registration fee includes: gastronomy (food and beverages)，ticket for hot spring，and accident insurance. ONSEN・Gastronomy Tourism is a new tourism that introduces the charm of hot spring resorts in Japan by walking and experiencing the food, nature, culture and history of local areas. We open this event, ONSEN Gastronomy Walking, to enjoy a stroll through the beauty of hot spring areas, to experience our history and nature, to taste local foods and beverages, and finally to soak in a soothing hot spring at the end of the tour. * Registration will close as soon as capacity is reached. Please participate in comfortable clothes and walking shoes, and bring your own headwear, rain gear, beverages, and towels for bathing. ＊We will provide beverages at some of the gastronomy points. Limited Express Shinano train: Departs Nagoya station at 8am. Arrives at Nakatsugawa station at 8.49am. Rapid train from Nagoya station departs at 7.15am and arrives at Nakatsugawa at 8:34am. Limited Express Shinano: Departs Shiojiri station at 7:14am, arrives at Nakatsugawa at 8:21am. Regular local train departs Shiojiri station at 6:51am, arrives Nakatsugawa station at 8:47am. Limited Express Shinano train: Departs Nakatsugawa station at 5:10pm and arrives Nagoya station at 6:05pm. Rapid train departs Nakatsugawa station at 5:15pm, arrives Nagoya station at 6:38pm. Limited Express Shinano train: departs Nakatsugawa station at 4:49pm, arrives Shiojiri at 5:53pm. Local regular train departs Nakatsugawa station at 5pm, arrives Shiojiri at 6:50pm. Reception window opens at 09:00. Please complete your registration 15 minutes prior to the starting time of your choice of walking. After walking starts, participants will start walking in the order of registration. 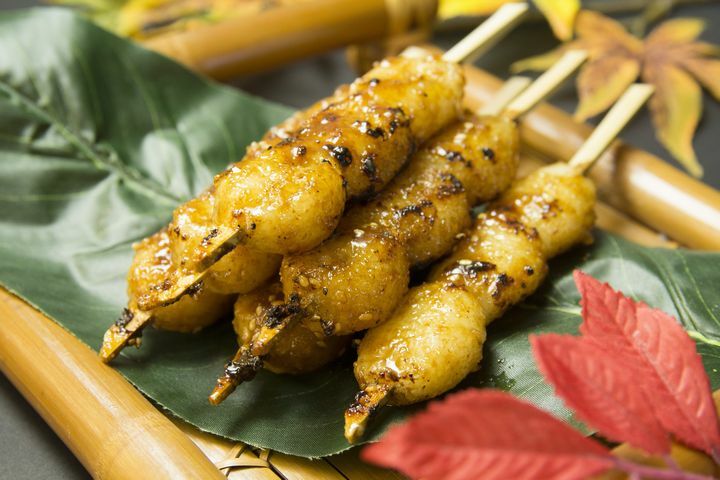 A sweet grilled local specialty representative of the region. The dango type (mochi ball) is common in Nakatsugawa and the surrounding area. A regional dish that enhances the sushi by wrapping it and preserving it a leaf to infuse the herbs. The fragrance of the leaf will stimulate your appetite. A regional dish of chicken and vegetables stirfry in a sweet soy sauce marinade grilled on a teppan iron plate. A popular fluffy sweet cake that conjures up the flowery image of the Chinese fringetree. The waters of Nakatsugawa is of good quality, suitable enough for brewing sake because of the differences in temperature severity. 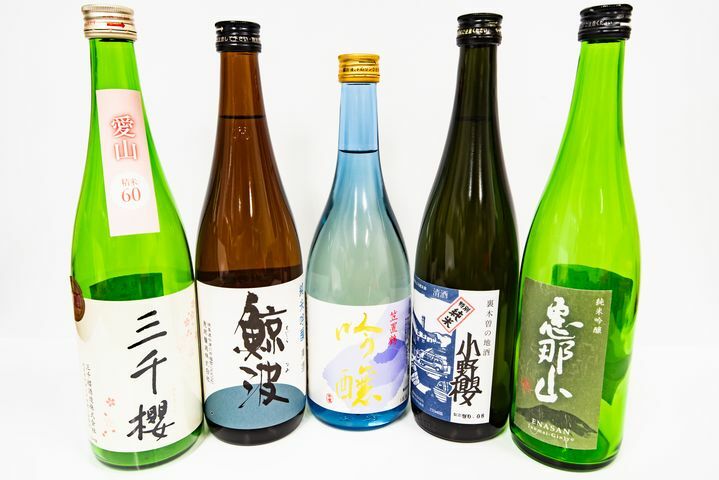 Feel free to enjoy and compare the flavours of the various local sake. For those who can't drink alcohol, local produced specialty softdrinks will be available. 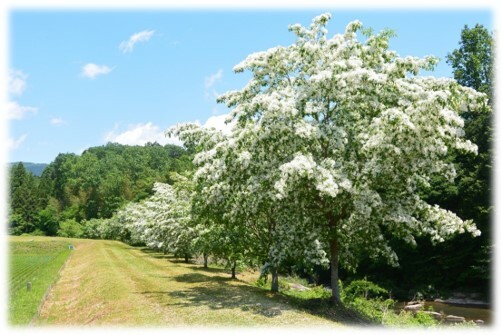 The Chinese fringetree are snow-white flowers which bloom in the area. They are given the nickname Nanjamonja by locals, which is often used for respectable plants, unknown or rare trees. The Hirukawa area is a granite rock producing area, and there are many rock sculptures and carvings made from Hikuwa granite rock. This shrine takes its names from the Kiso Shrine, and prior to the anti-Buddhist movement, it was called the Gozu Tenno shrine. Every year, there is a regular festival with bright outfits, and a dancing procession where participants wear unusual headwear in a ceremony dedicated to a flower-adorned horse. Feeding into the Kiso river and downstream of the Wadagawa river are about 500 rock potholes (large and small) scattered throughout. It's a beautiful natural phenomenon caused by erosion from the weather and vortex water currents. Take in the views and mountain air of Mount Ena which is one of the ”100 Mountains of Japan” at the southernmost tip of Mount Kasaki and the Central Alps. The Naegi domain through the Divine Separation Order caused the Anti-Buddhism movement. The remnant of that era is reflected in the stone buddhist relics near the temples. Onsen (hot spring bath) voucher will be distributed which can be used at designated onsen facilities within Nakatsugawa city. 1. In order to hold the event smoothly and safely, participants shall comply with the regulations specified by the organizer and the traffic regulations. 2. The organizer shall not take any responsibility except for emergency measures in case of injury, loss or other accident." 3. The change of time or cancellation by personal reason is not accepted after registration. 4. The event may be canceled in case of an unexpected accident such as natural disaster, stormy weather, or new strain of influenza epidemic, etc. In that case, we can not compensate for the individual expenses such as participation fee, transportation or accommodation expenses." 5. Please check the event homepage for a cancellation notice. 6. It will be an event involving alcoholic beverages. Please enjoy the appropriate amount and please refrain from acting to disturb other participants. (loud voice, excessive drinking, etc.)" 7. We may ask for an identification card for age verification. Driving cars, bicycles, etc. with drinking is prohibited by law. Please use public transportation. " 8. The posting rights and portrait rights of the convention videos, pictures and articles, records, applicants' names, ages, addresses (country, prefecture/province) to magazines, Internet, etc., belong to the event organizer. ”ONSEN Kishidan (Chivalric order of hot springs) is a group of members supporting ONSEN・Gastronomy Tourism and consists mainly of people who have a passions for hot springs. ”ONSEN Kishidan (Chivalric order of hot springs)” members will receive ONSEN・Gastronomy Walking and other up-to-date information. ”ONSEN＋” option is available for members. A ONSEN Kishidan (Chivalric order of hot springs) badge will be sent to your address. Please make sure to write your mailing address correctly and clearly. * Personal information such as name, address, mail address, etc. received at the time of registration may be shared within the operating company, ONSEN & Gastronomy Tourism Association. The Hitotsubatago festival will be held at the Hitotsubatago Hiroba where the event registration will take place. No participation notice will be sent to early registrants. After the payment is made, please show a copy of the confirmation email or a screen shot of the ”payment confirmation” or ”entry confirmation” at the reception desk. A transaction slip and/or receipt issued at the store can be used as certificate of payment. Please present the receipt at reception. Please present an identification card on the day of the event at the reception desk.